00 County Line Road, Disputanta, VA 23842 (#1806046) :: Abbitt Realty Co. 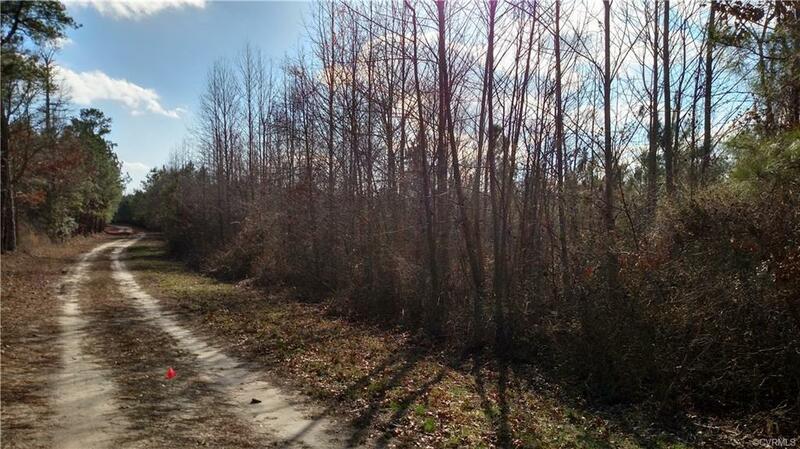 Here is your chance to own 70+ acres in Prince George County. It is zoned R-A, so you can build a house and/or have the small farm that you have dreamed of. There is 60+/- acres of 13 year old growth of pine and oak and 10 acres of cleared field that can be planted or turned into pasture or a home site. Very quiet and secluded with plenty of wild life. Over $10,000.00 below tax assessment. Just recently perked (4/2018) for a conventional system for a 3 Bedroom Single Family Home.